Guwahati: The city based Dispur Hospitals plan to observe the World Heart Day on 29 September with various programs. The popular private hospital of northeast India decides to take out a walkathon on Thursday morning in the city streets for enhancing awareness about various heart ailments. Mentionable is that the heart day is observed every year across the globe with an aim to raise awareness about cardiovascular diseases, which emerge as the number one killer of human beings worldwide. The statistics reveal that various heart disease & strokes claim 17.3 million lives every year around the world. However, 80% of those premature deaths can be avoided with necessary precautions. 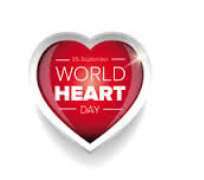 Geneva based World Heart Federation, which promotes the heart day celebrations worldwide, preaches for improving global heart health by encouraging people for lifestyle changes with acquiring knowledge about being good to the heart. “We are supporting the mission of World Health Organization to reduce the non-communicable disease mortality rate by 2025 with the reduction of premature deaths because of cardiovascular diseases. The heart day celebration is one of our initiatives,” said Dr Jayanta Bardoloi, the chief of Dispur Hospitals. He also added that few dangerous risk factors leading to the heart ailments and strokes include high blood pressure, high level of bad cholesterol, increased glucose level, increased weight and obesity, which are normally triggered by the smoking habit, unhealthy diet and physical inactivity. The proposed walk in the city is open to all for participation, which is scheduled to start from the hospital premises at 6 am on Thursday, informed Ujjal Saikia of Dispur Hospitals adding that senior Assamese journalist Nava Thakuria will flag off the march.